Wiggins Roberts was most recently marketing VP for the United Services Automobile Association. 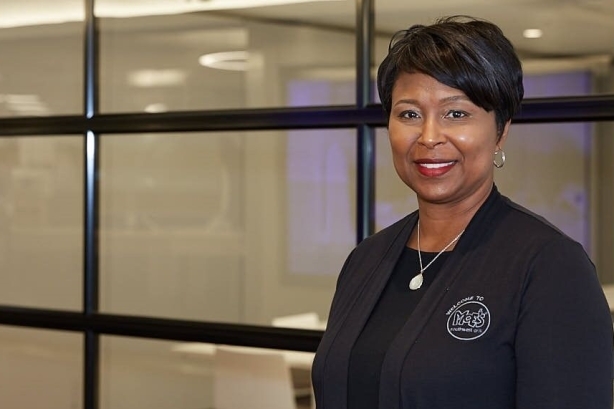 ATLANTA: Moe’s Southwest Grill has selected Verchele Wiggins Roberts as VP of marketing. Wiggins Roberts joined the Focus Brands-owned operation earlier this month and reports to Moe’s president Bruce Schroder. The Tex-Mex chain’s PR manager Lindsay Haynes told PRWeek the last person to lead marketing at Moe’s was Dominic Losacco, who left the restaurant chain in May to join The Krystal Company as CMO. Wiggins Roberts is responsible for driving multichannel global strategy to increase brand relevance and engagement. She will lead the company’s culinary innovation to develop new products and build on existing platforms, according to a statement. "I am super excited to be leading marketing for this dynamic brand with such a unique culture," said Wiggins Roberts. "I am working in the restaurant this week to totally immerse myself in it. I have the great honor of being able to lead marketing efforts that are going to continue to grow this great brand for our franchisees but also build that next generation of Moe’s brand lovers." Most recently, Wiggins Roberts worked at the United Services Automobile Association as marketing VP. She led national advertising campaigns, content marketing, and creative development for all lines of business. Before that, she spent 14 years at InterContinental Hotels Group, leading global marketing and branding for marques such as Holiday Inn and Holiday Inn Express. Wiggins Roberts started her brand management and marketing career at Procter & Gamble, working on brands such as Vicks, Crest, and Scope. Moe’s also recently hired Jonathon Gilliam as VP of operations. He previously served as operations VP at SusieCakes. In June, Moe’s named Matthew Courtoy as senior manager of social and digital strategy. Courtoy was previously senior social manager for Focus Brands siblings Carvel and Schlotzsky’s. Victoria Nielsen, who oversaw Moe’s and Cinnabon, transitioned to senior social and digital manager at Schlotzsky’s. Marissa Sharpless is overseeing social and PR for Cinnabon. These moves were part of Focus Brands’ efforts to restructure the way its staff handles social media for each of its brands, including Carvel, Cinnabon, Schlotzsky’s, and Moe’s Southwest Grill. Social media managers now focus on one brand each, rather than managing multiple brands. Focus Brands’ other chains are Auntie Anne’s, McAlister’s Deli, and Seattle’s Best Coffee. Moe's was founded in 2000 and is headquartered in Atlanta, Georgia. The fast-casual restaurant chain, which has a history of throwing shade at Chipotle, has 700 franchised locations. Editor's note: This story was updated on September 10 with comment from Wiggins Roberts.